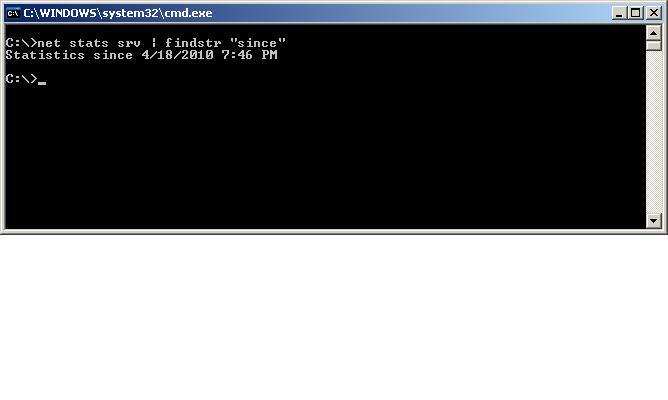 The built in windows command FindStr mirrors the capabilities of the Unix command Grep. Example of using Findstr to search for multiple strings in succession within a log file. Find out when a Windows host was last restarted using native windows commands. Pipe to findstr to filter out unecessary stats. Bat_To_exe_Converter allows conversion and creation of executables from Windows Batch Files. No installation is necessary, just unpack the zipped executable and point it to the .bat file you would like converted.